Hamas and the Muslim Brotherhood reportedly planned to murder Egyptian Christians on their holy day. Hamas and the Muslim Brotherhood planned a series of bombings at Egyptian churches, according to a report in the Kuwaiti paper Al-Watan, according to Channel 10 news. According to the report, the attacks were to take place on Christmas. Terrorists in Sinai had succeeded in gathering explosives for the planned attack. Egyptian intelligence reportedly foiled the plot after discovering communications between the two groups. 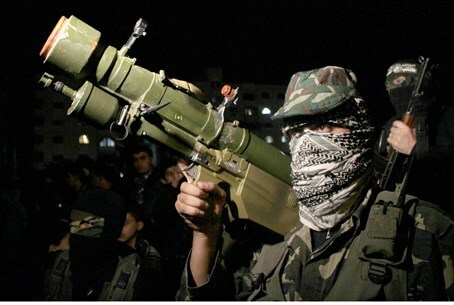 Intelligence agents also listened in on calls between the Muslim Brotherhood and other Gaza-based terrorist groups. The calls revealed plans to transfer weapons to armed groups in the Sinai Peninsula via smuggling tunnels between Gaza and Egypt. Egyptian authorities have accused the Muslim Brotherhood and Hamas of working hand-in-hand on several past occasions as well. Former Egyptian President Mohammed Morsi is awaiting trial for charges relating to alleged cooperation with Hamas in an attack on Egyptian soldiers. While rebels in Sinai have primarily targeted the Egyptian army, attacks on Christians in the country are nothing new. Coptic Christians in Egypt have repeatedly been victimized in violence between Muslim Brotherhood supporters and state troops. Although Christians in Egypt have apparently been spared a deadly attack by Islamists, some 35 people were killed in a bombing attack against a church in Iraq on Christmas day. The Middle East's Christian population - which has existed since before the founding of Islam - has been steadily declining in the past few years, in great part due to a rise in radical Islam. Israel is the only country in the region with a growing Christian population.